Elisa Reinsmith advises clients on a full range of labor and employment law matters, including representing clients in court, arbitration, and mediation, before administrative agencies, and before regulatory agencies. She conducts internal workplace investigations, including high profile and high stakes "C-Suite" investigations. She also helps employers draft handbooks, policies, and employment contracts and counsels clients on workplace issues and in performing investigations. 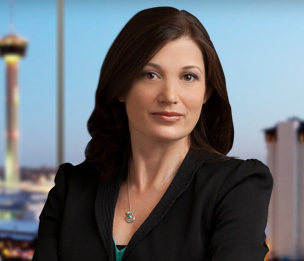 Licensed to practice in Texas, Missouri and New York, Elisa has represented employers in multiple state courts, federal courts, and before local and state agencies, and in mediation and arbitration to resolve employment matters. As a legal scholar, Elisa contributed to the American Bar Association Section of Labor and Employment Law’s treatise on The Family and Medical Leave Act, and has contributed to articles on the Older Worker Benefit Protection Act, whistleblower laws, and wage and hour issues.